Read our recent series on murders in Pittsburgh. 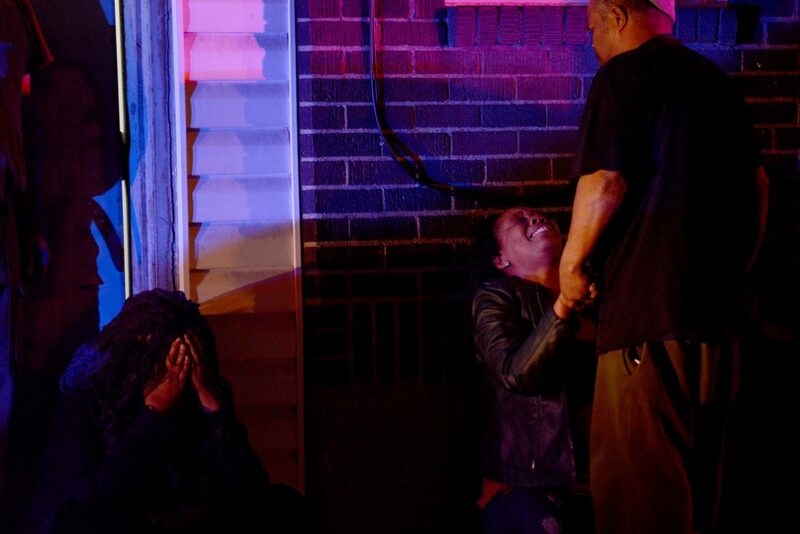 The killings of five people and an unborn child in Wilkinsburg on Wednesday night have drawn national headlines after two suspected gunmen opened fire in what has been described as a calculated attack. Allegheny County District Attorney Stephen A. Zappala Jr. described the carnage as one of the most brutal murders he’s seen in 18 years in office, according to the Pittsburgh Post-Gazette. A motive is not known, though retaliation is possible, the story said. The victims were identified as Jerry Shelton, 35; Tina Shelton, 37; Brittany Powell, 27; Chanetta Powell, 25; and Shada Mahone, 26, according to the Allegheny County medical examiner’s office. Chanetta Powell was due to give birth in May, the Post-Gazette said. Three of the victims were siblings; the other two were their cousins. An ATF agent this afternoon described the horrific scene of Wednesday night’s mass shooting: a man shot as he tried to get in a back door of a Wilkinsburg home, and three women trapped behind him under a barrage of gunfire that left one of them with 50 bullet wounds. PublicSource recently examined the repeating tragedy of unsolved homicides in Pittsburgh, which borders Wilkinsburg. Neighborhood violence, often tied to retaliation, has had a disparate impact on the city’s black community. A $20,000 reward for information on the two suspected shooters has been announced by the federal Bureau of Alcohol, Tobacco, Firearms and Explosives.